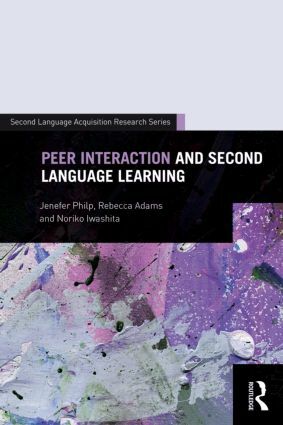 Peer Interaction and Second Language Learning synthesizes the existing body of research on the role of peer interaction in second language learning in one comprehensive volume. In spite of the many hours that language learners spend interacting with peers in the classroom, there is a tendency to evaluate the usefulness of this time by comparison to whole class interaction with the teacher. Yet teachers are teachers and peers are peers – as partners in interaction, they are likely to offer very different kinds of learning opportunities. This book encourages researchers and instructors alike to take a new look at the potential of peer interaction to foster second language development. Acknowledging the context of peer interaction as highly dynamic and complex, the book considers the strengths and limitations of peer work from a range of theoretical perspectives. In doing so, Peer Interaction and Second Language Learning clarifies features of effective peer interaction for second language learning across a range of educational contexts, age spans, proficiency levels, and classroom tasks and settings.